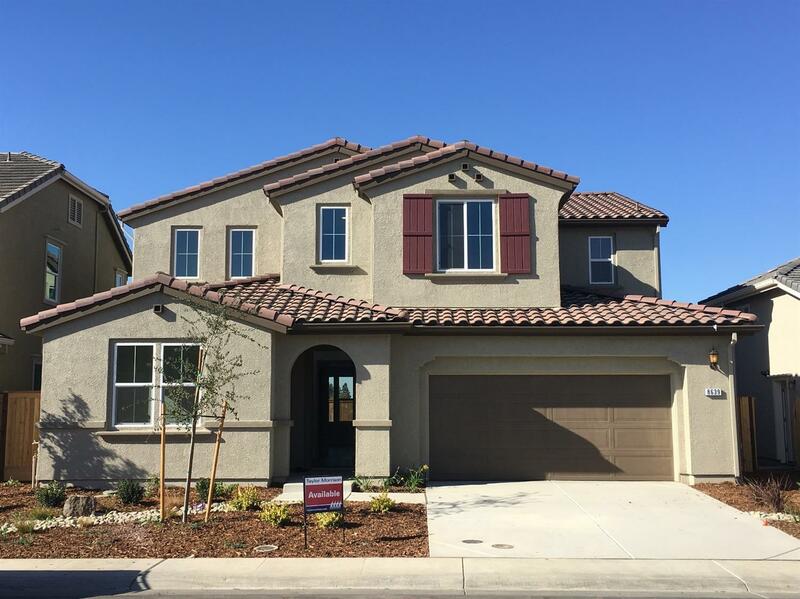 Brand new Taylor Morrison home at Paloma at Caselman Ranch. Beautiful two-story with 5 bedrooms and 3 full baths and 3 car tandem garage at 3020 sq. Tahoe Maple Linen white cabinets with bar style designer cabinet hardware, stainless steel appliances, modern square edge New Caledonia granite kitchen countertops with 3x6 Rittenhouse Arctic subway tile backsplash, and Mohawk rustic driftwood hardwood laminate in main living space.